Diamond Query: Bigger Carat Weight or Better Light Return in a 2-Carat Round Diamond? Thank you so much for providing so much information about diamonds. After reading your posts and others online I've narrowed it down to three diamonds. 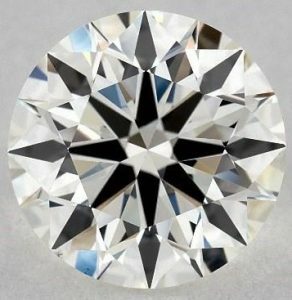 Ideally, I want to stay under $15,000 but I always wonder if I should look for a bigger diamond and that really bumps up my budget. 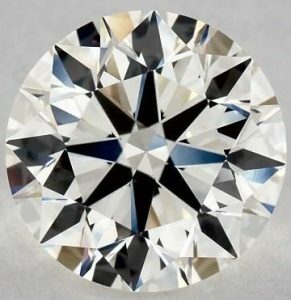 Here are the 4 diamonds I found and wanted your input on each of them and which one is best. I only have 3 Idealscope images and I will attach them for you. Some diamonds may say “Not Available” that's because I had them put on hold to send me the Idealscope. This 2.27 Carat Round diamond J Color VVS2 Clarity has Excellent proportions and a diamond grading report. This one exceeds the budget but it's 2.27 carat I couldn't pass this one up, I didn't know if it's really worth it compared to the other ones? This 2.01 Carat Round diamond J Color VS1 Clarity has Excellent proportions and a diamond grading report. This one seems to be the best cost choice but I can't help it if I want a little bigger ring. This 2.00 Carat Round diamond J Color VVS2 Clarity has Excellent proportions and a diamond grading report. From the specs this is the smallest of the 3 and there is an arrow that is faded in the Idealscope I didn't know if this diamond would sparkle. Thank you for your help! I have reviewed each of the four diamonds from JamesAllen.com. They are all an excellent choice. If I lined them each up in front of you, in person, you wouldn't be able to tell the difference between them, except for the slight difference in carat weight. Out of the two diamonds, which are 2.00ct, I would select diamond sku 3424899. 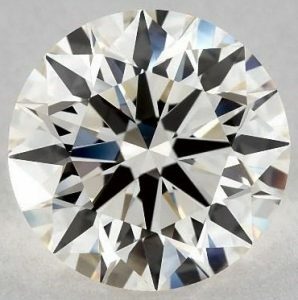 This diamond has the better proportions/angles. The crown and pavilion angles are excellent and these are two of the most important angles for optimal light reflection. And the Idealscope is perfectly acceptable. There is minor light leakage represented by the whitish areas, but is no concern. Out of the two diamonds, which are greater than 2.00ct, I would select diamond sku 3215496. 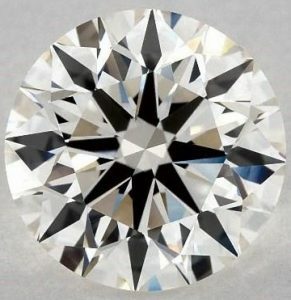 This diamond has the better proportions/angles. It also has perfect crown and pavilion angles. And the Idealscope image is again, perfectly acceptable. It is a very good image. 1. Medium fluorescence is most often a non-issue. It rarely has a negative impact on a diamond. And if anything, it will make a J color diamond appear whiter, which is a good thing! 2. As for the Idealscope, which has part of the black arrow faded… this is a non-issue. This is just because of the angle of the diamond when the image was taken. 3. Regarding carat weight… You start to see a difference in carat weight when there is at least .20ct between diamonds, assuming all the proportions are in the acceptable ranges. If, however, you look at the difference in millimeter measurements between the diamonds you selected, you will see there is hardly a difference. I think that answers all your questions. Let me know if I can further help you! Thank you so much! Your reply has been the best I’ve ever received on diamonds!!! !